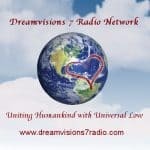 Dreamvisions 7 Radio Network’s Host For the Day Promotion! A Special Offer For Those Who Would Like To Get Their Feet Wet Hosting Their Own Radio Show For One Day! OPPORTUNITY TO MARKET YOUR BUSINESS, SERVICES, MODALITIES OR BOOK! Host a Show for the Day! Imagine your voice, your message going global! You may create your 1 hour show as you wish, as long is it to the highest good for all. You may have a guest, mention a sponsored company…or go solo and facilitate a lesson. You may create a unique show name and have a Topic Line. You may even have a Co-Host. The choice is yours. [If this is your first time hosting a Radio Show, we will share and assist you in understanding how to Host your hour] All you need is the desire and a phone, it doesn’t matter where you live!! 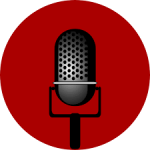 We even add your show to our website page ‘Host for the Day’ for ongoing exposure and “On Demand” listening. After the Show you receive the audio MP3 which continues to be a marketing tool for your business! It can be added to your website and or even promoted on your social media. OR use the PayPal button below to reserve your Host For the Day spot today! We are coming together with the intention of healing others, the planet and ourselves. By becoming part of our Radio Community through Hosting your own Radio Show you support a company whose foundation is in unity consciousness with a mission to cultivate change through creative programming and placing compassion into action.